If you’ve got firewood lying around in a moldy heap somewhere- it’s time to chalk off a weekend and build yourself a DIY solution. 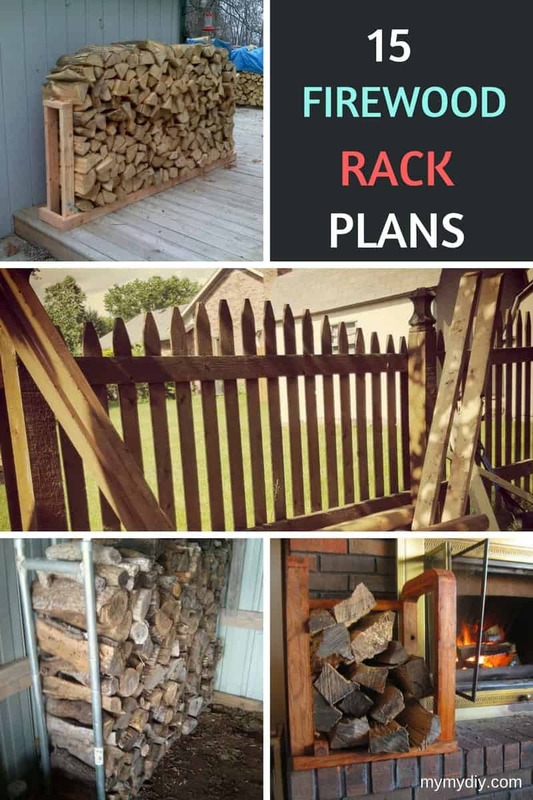 Below, we assembled 15 free DIY firewood rack plans. 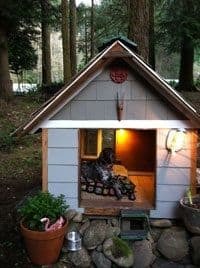 There are some interesting styles on this list- #2 is a handsome, indoor vertical rack; #12 is an outdoor shanty for solid rain protection; and #14 promises a 30-minute blueprint. Whatever the case may be- building a rack will facilitate drying. Ensuring that when winter comes around you have straw-dry wood to toss into the fireplace. Toasty! What Is Reddit Saying About Firewood Storage? This DIY blueprint is all about the pictures, with informative and neat graphics to help you through the way. Be sure to catch the minute details in the images to create this firewood setup with neat columns and curved edges to make an edgy yet sophisticated log shelf. This dolly & rack combo is an excellent option for someone who is looking for a presentable stand for your living room. With pictures and videos to guide your masterpiece, you just need to thoroughly review the instructions to avoid the functional issues the builder has foreseen. There are also instructions to paint the holder to custom style it. With multiple builders already giving this blueprint the thumbs up, it’s a hit on Instructables! 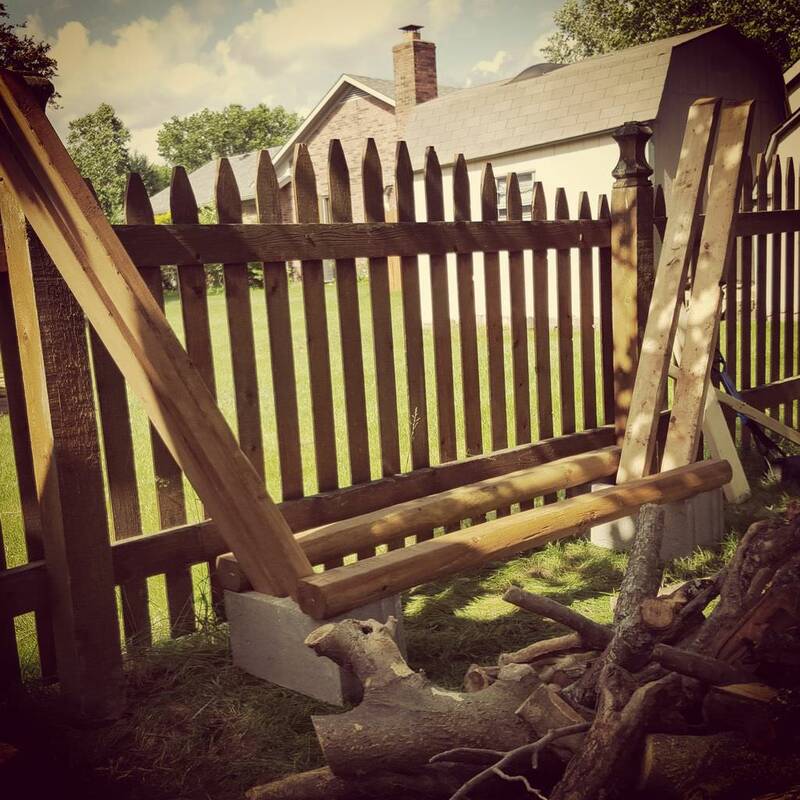 Be sure to jump on the bandwagon to develop your own personalized log ledge for your backyard. All you need is a saw, drill and steel strap to put together your 2 x 4 x 8 lumber blocks to create your a specialized lumber rack. This stack rack is a good bet for those who are keen on setting up a quick yet classy structure. The blueprint lays out a neat plan and prep instructions for you to create your own aluminum frame. Are you one to look out for a sturdy framework? This simple layout will grab your eyeballs with installations steps along each step all you need to do is buy an aluminum U channel and an L bracket for this winner. Do you hate metal- perhaps thinking metal is only for welders? This simple blueprint is a timber-only build. The mission is to not cost you much, with just material you would normally discard like fire garden lumber 2 x 4 x 10 block. It uses cement blocks for support. 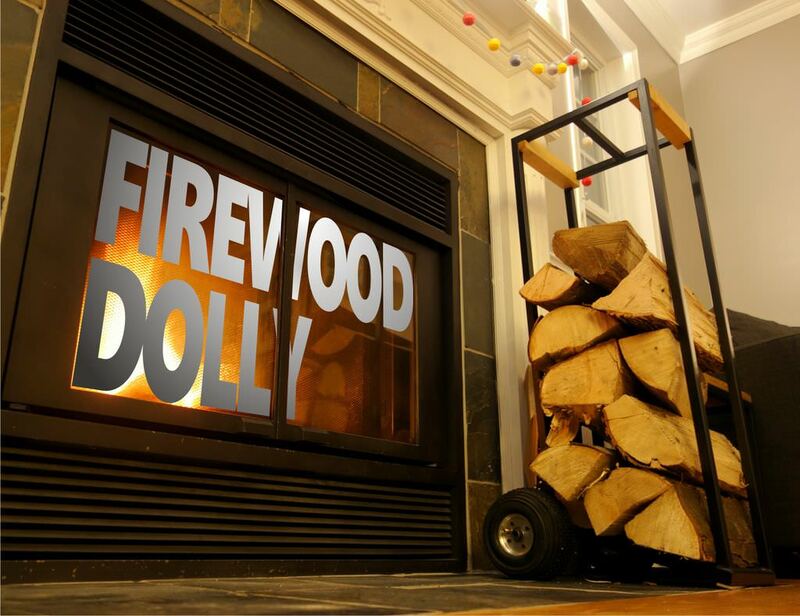 Get cracking; download the PDF instructions to start on your own quick firewood frame. Have an old trampoline lying around? Reincarnate it with this comprehensive plan using 4’’ pipes and 4 x 4 timber. The sturdy plan comes with tips to produce your own knotted braces and angular welds. Be sure to follow the tips to the ‘T’ to avoid problem issues. 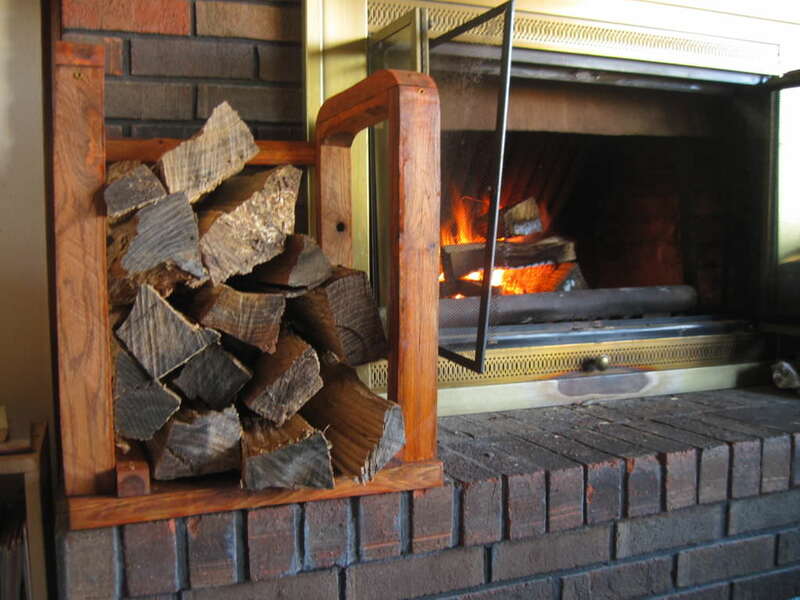 This easy to do and easy to store project is the answer to your indoor firewood rack worries. The foldable ledge is designed with metal bars. The technical diagrams attend each step- a treat for the exacting craftsperson. If you are already a DIY pro this project is a solid, small-footprint option. This compact design is for those who hate huge shelves. The plan provides some creative discretion- enabling you to customize it to your room measurements. 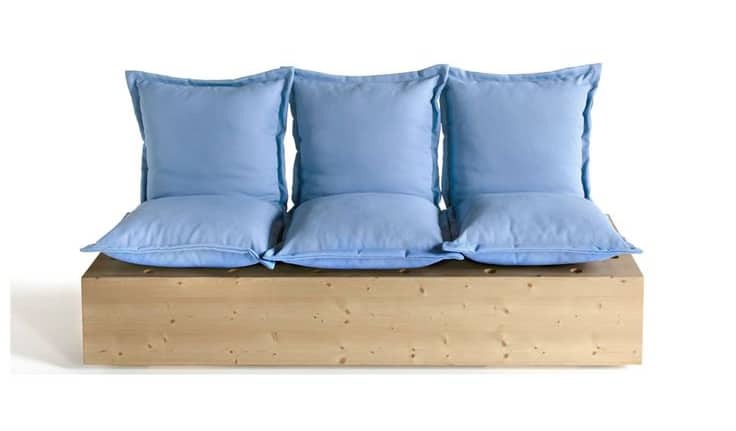 What’s more interesting- it’s made from discarded timber- great for those who want to recycle old wood. 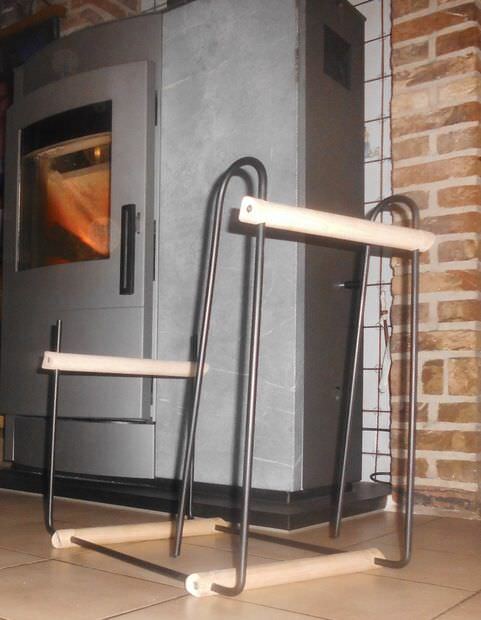 Want to build your holder using raw firewood itself. Check out this blueprint to build a handsome mantelpiece. The step by step instructions guide you from sanding to polishing, providing you with intricate details on transforming raw planks to an exquisite useable design. This blueprint helps you produce a one of a kind wrought-iron masterpiece. The elegant project is sure to spark conversation at your next winter dinner party. 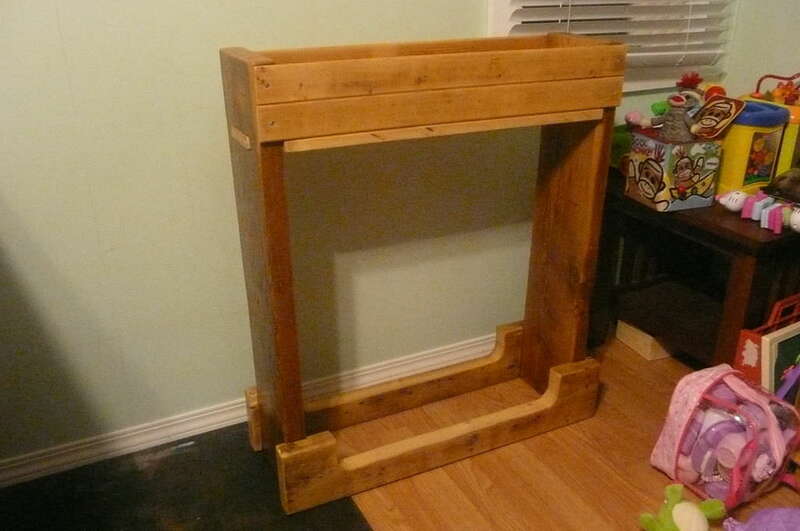 If you need a reason to use some of your heavier-duty workshop tools, this project is for you. 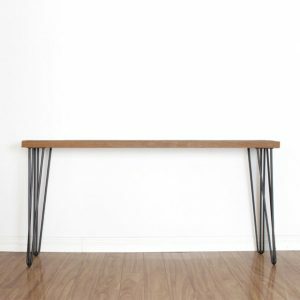 The holder is built with a customizable length of metal bars- you’ll need a chop saw, disc and a sander. Don’t have any high-powered tools? 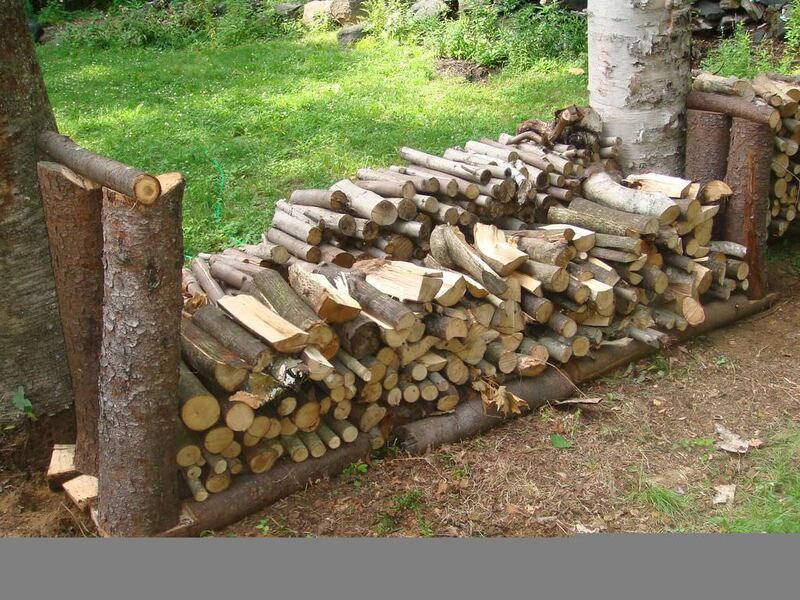 You can make do with just 4 x 10 logs to style your own no-tools firewood stacker. 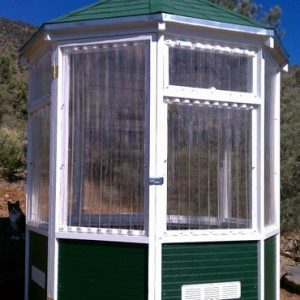 This design is sure to put a smile on your face as it’s efficient with its design and has been constructed high enough to blow off leaves or spray bugs from underneath. 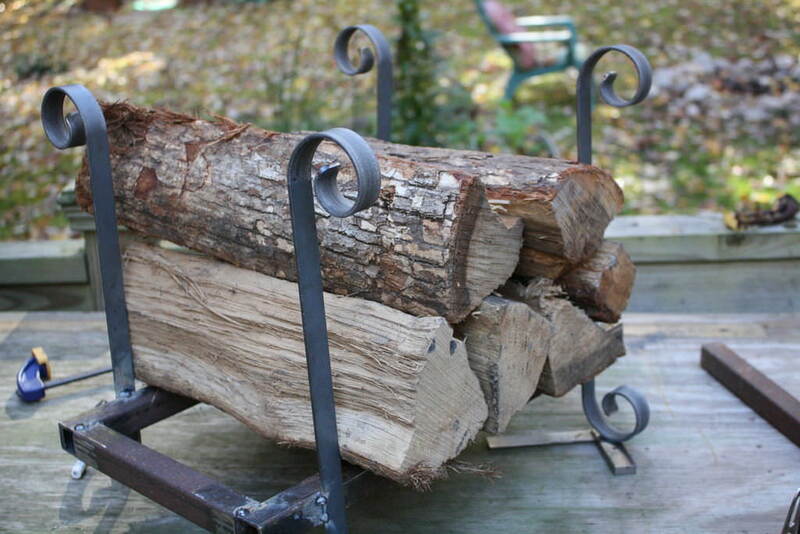 Reuse your old fence and other leftover unused screws to make a handy yet sturdy rack for your wood stack. All you need to have are a 2 x 2 pine boards and some old fence pickets. Be sure to get some helpers when you start working on this DIY project since this setup requires vertical assembly. What an innovative way to make your old screws and gate hinges useful! The old world charm of logs are not just aesthetically pleasing but are incredibly strong. This blueprint provides tips to layout logs like you would layout bookends to hold your novels in place. 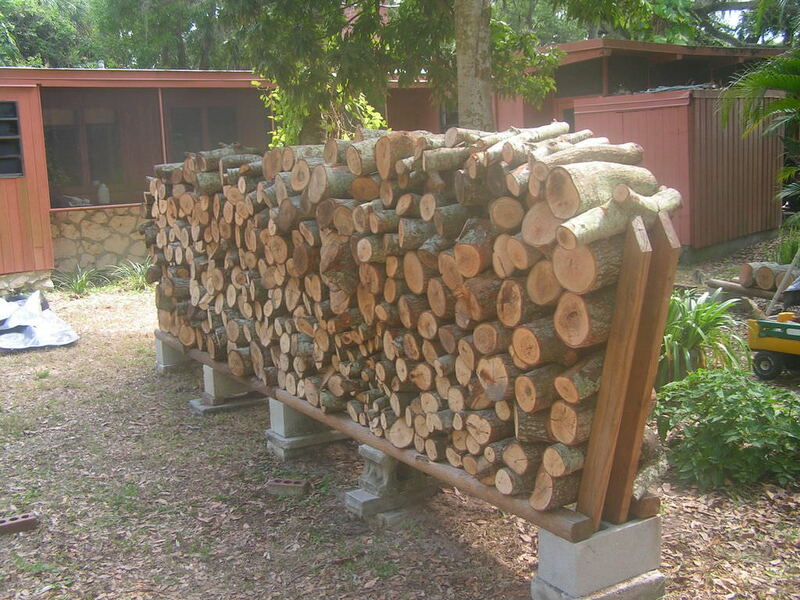 All you need are logs of any size (both short and long), a saw and a tool to drill long ¼’’ X 10″ screws. If you are looking for a fun family activity over the weekend and an opportunity to get your hands dirty, then look no further. This plan will get you productive quickly -all you need are some discared pallets. 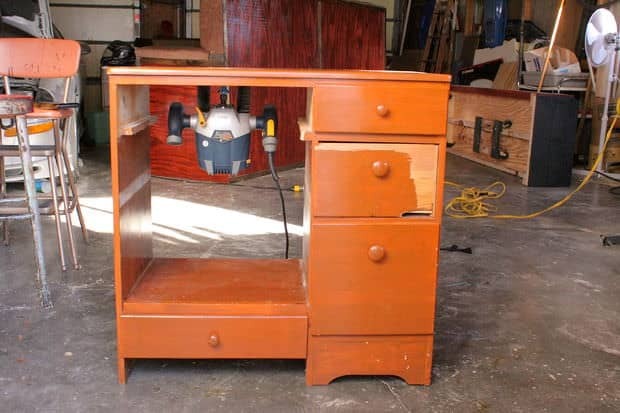 Check on Craigslist for old wood- or a local, big-box retailer. Have a basement with lots of extra space? 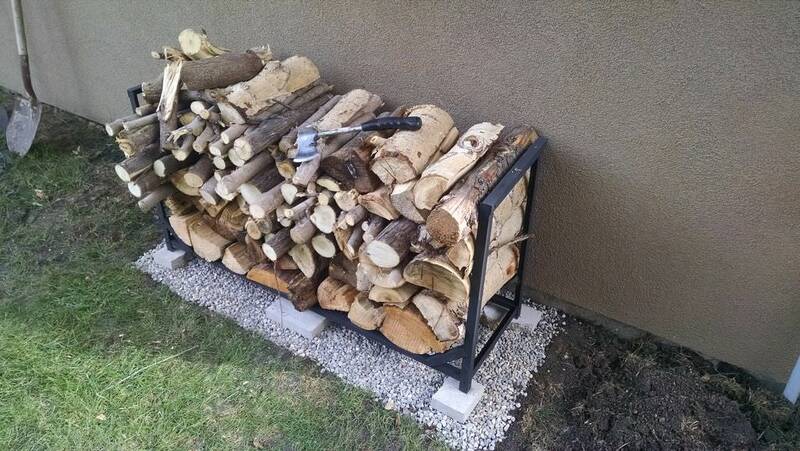 Employ that extra room with this neat design to store your winter firewood. 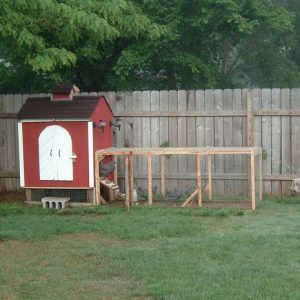 This easy step by step build could be built by even a novice with just a saw and 2 x 4 pallets. Your snazzy new firewood holder can hold 400 cubic feet of seasoned planks to last you every winter. 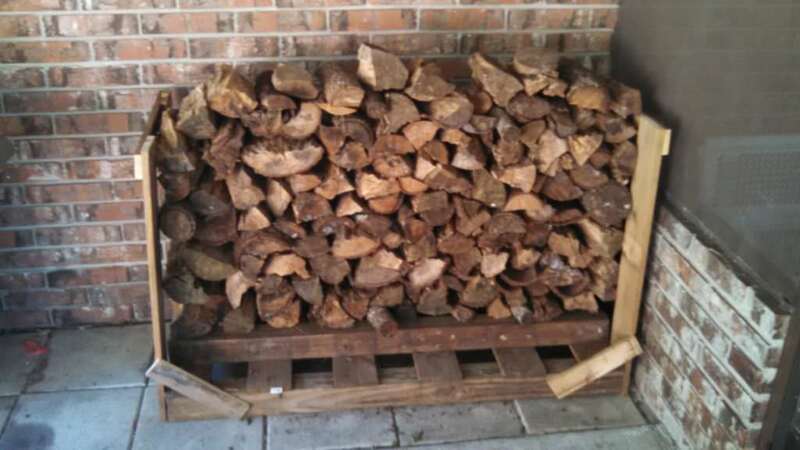 One user created a post discussing how he had taken down a ton of trees on his property, used a friends log splitter and started his own firewood delivery service. It ended up being an incredibly lucrative venture for him- who even knew there would be a subreddit dedicated just to firewood? Digging in a bit deeper, we found a another user who started his own sideline enterprise selling bundled firewood to campers. A user responded that they solicited every single campground in his area and found that there was only one that would work with him but required a 50% commission. Unfortunately, because he couldn’t find enough campgrounds that were interested, he couldn’t create a delivery route to provide firewood on a business-to-business basis. 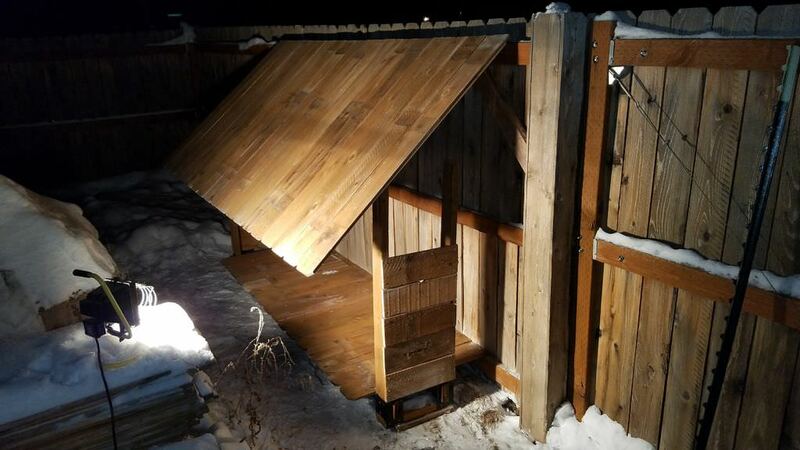 In the homesteading subreddit, another user solicited feedback about the idea of creating a permanently covered woodshed with a slanted roof. 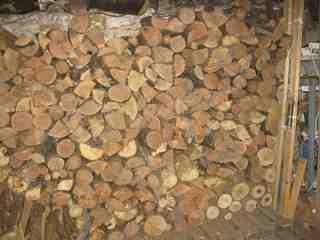 His primary question, regarding the storage of firewood, was whether and how to construct it so that there was sufficient airflow that wet wood would dry out. 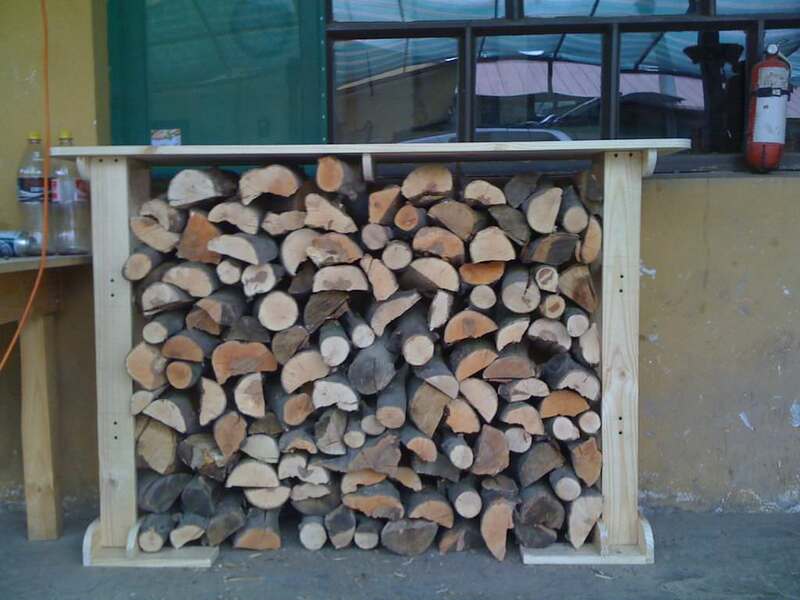 A users responded saying that a smart strategy is to create a ‘holz hausen’. What this is, it is actually a German expression that means a ’round house’- it is carefully stacked firewood that is filled in with blocks, tied together utilizing interior cross poles and then topped with circles of split thatched wood. 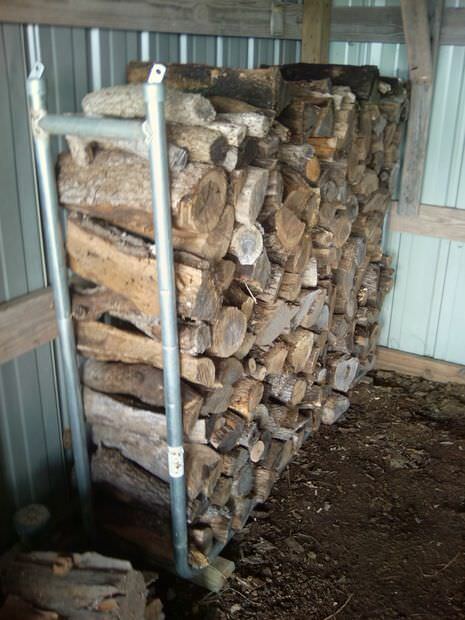 Allegedly, this is a more efficient and stable way to dry out your woodpile. One of the theories was that there is a chimney effect created by the cylindrical form which facilitates drying. Because circles are inherently stable, exerting equal pressure on all of its sides, there isn’t any section of it that is weaker than any other. Another benefit is that it conserves space- one of these wood stacks can hold a tremendous amount. The last benefit to this configuration is that they are very attractive- one writer describes how visitors to his property are immediately drawn to them, saying how pretty and snug they look. 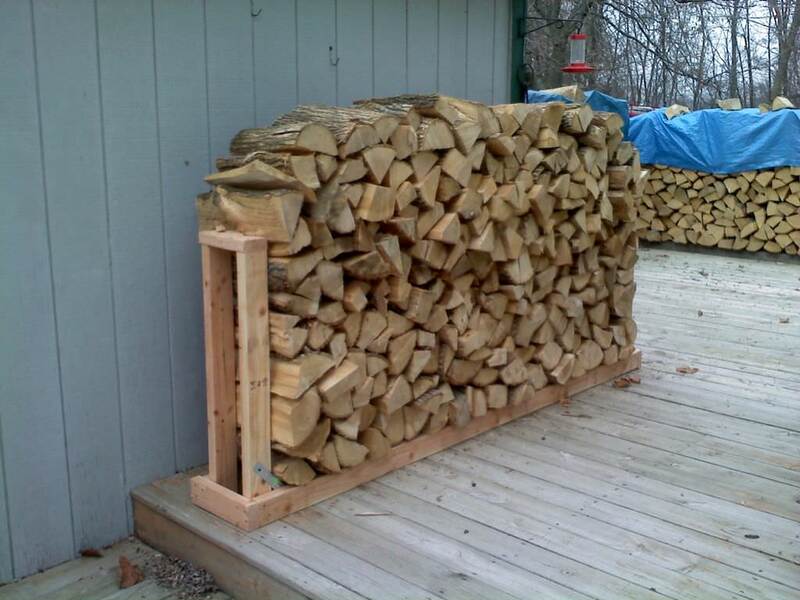 Another subreddit called r/coolguides posted an image from the Art of Manliness entitled ‘how to stack and store firewood’. It walks you through selecting a sun-exposed site that is perpendicular to the prevailing wind direction, how to lay down a base, and assemble a towering woodpile that drys itself naturally. Another user had an interesting suggestion, saying that simple solar kilns where the interior temperatures can exceed 150°, is a great space to dry the wood as well as to kill off pests. This seemed to mollify the original poster who was concerned about termites as well as the potential danger of storing the wood too close to his home. Another user says that where he grew up in Maine, they would allow the wood to sit over the summer on pallets, but after the summer season they transferred all of it into the basement, stacking it in that dry area where they didn’t experience any termites or bugs invading the woodpile. In one of the more popular subreddits called pics a user submitted an image of firewood that was laid out so that it would look like a fallen tree. This attractive and innovative stacking style is certainly a backyard conversation starter, although some users said that it would be a shame to remove logs from it because it would disrupt the aesthetic. The last post we examined was from a woodcutter who was tearing through a pile but eventually struck a metal object embedded in one of the logs that took the edge off his chain. He vented to the community how annoying this was having to swap chains, with one user commiserating that they’ve also had a similar problem with shotgun slugs embedded in the wood that they were cutting.